The concept of a ride cymbal with a huge bell on it isn’t new and has been around for decades. That said, even ten-plus years ago I would have really only been able to name one specific model which met that description. Over the last few years or so though, numerous versions of the same basic design have appeared from different manufacturers, quite commonly being used in the metal and rock genres. This model isn’t new as such and has been available for a few years. The 2002 18” Giga Bell ride was developed in conjunction with Brazilian heavy metal drummer Aquiles Priester (which is where the graphic and ‘Psychoctopus’ name come from). It has a substantial 8” bell which is hammered both top and bottom, familiar 2002 hammering across the bow and is, obviously, finished in black with the graphic and script in white. It is also, possibly unsurprisingly, reasonably heavy for its size being quite thick. In some ways it reminds me of an oversized cup chime. As you’ll hear, the Giga Bell is overall nice and clear, glassy, reasonably dry and quite loud. The bow sound is defined with little build up to it but still has noticeable sustain, and the bell provides a good solid clang. The sticks I used in the video were the Promark Billy Ward model which is loosely a 5A type with a wood tip. Even with that fairly modest stick size and weight the cymbal was full and clear, and prolonged playing actually started to give me a headache. Played with the shoulder of a 2B, the clang of the bell was even more pronounced. It’s not the loudest ride I’ve played or own, but it’s up there. It’s certainly the loudest 18” ride I’ve played. 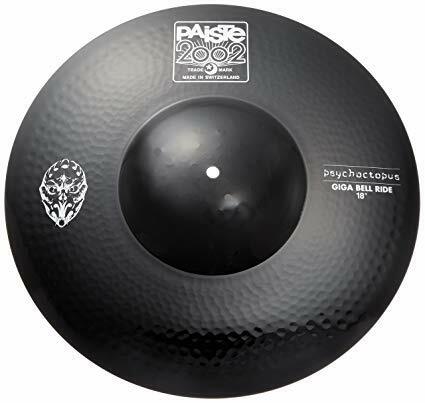 The Giga Bell is a pretty specific sound and use type cymbal; it’s not subtle, but, for the purpose of what it’s designed to do, it does a great job. I have always liked the sound of a ride cymbal with a bell that sounded like a hammer hitting an anvil and in that respect it was perfect for rock covers in a fairly loud band context. Between the design and the cymbal being smaller, its pitch cuts through nicely both bell and bow. 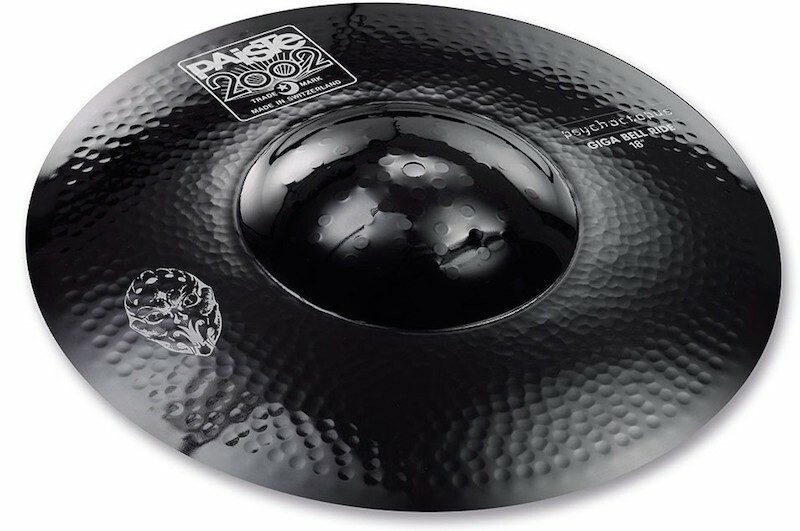 Priester himself uses two of these on his kit – one on the right and one on his left under his hi hat for double-handed patterns. Fellow Brazilian drummer Eloy Casagrande has also used one on his left for similar purposes. In that regard, it works well due to its smaller sizing. In addition, because the sound of both the bell and bow are so clean and glassy, two-handed patterns come off easily. As I’ve mentioned, it is a fairly one-dimensional cymbal and won’t exactly be of mass appeal. However, if you want something different or are into double-handed ride patterns, then this might be for you.